The Perth Mint of Australia expands its numismatic offerings for 2014 with the January release of several collector products that are now available for ordering. New products include options that will excite many collectors. Among them, gold and silver high relief coins with a reverse design by American sculptor and engraver, John Mercanti, the 12th Chief Engraver of the US Mint. 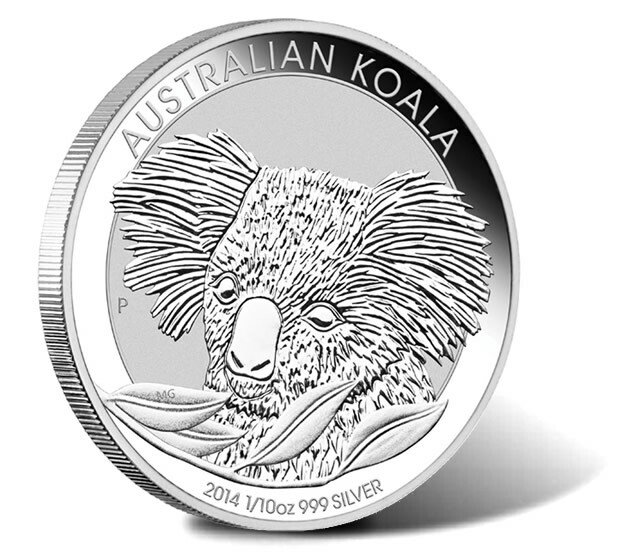 Also making debut appearances are two new koala silver coins. One is enhanced with gilding and the other is featured in an affordable 1/10 ounce size. 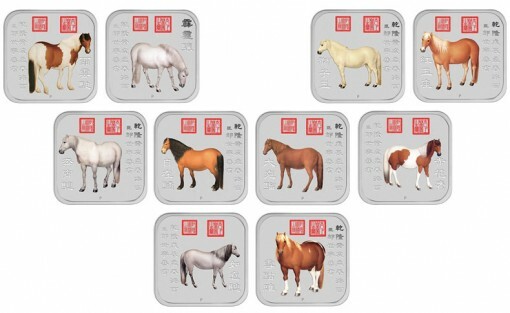 Additional offerings include 2014 Year of the Horse products and special occasion coins. Below is information on Perth Mint January 2014 product releases. In limited quantities, the Perth Mint made available its one ounce 2014 Australian Koala Gilded Silver Coin. As indicated by the name, its reverse has a gilded koala design which shows the head of a single koala along with a spray of gum leaves. An issue limit of 5,000 is in place for individual sales with a maximum mintage of 10,000 allotted. Each ships in a Perth Mint display case along with a numbered Certificate of Authenticity. The one-tenth ounce 2014 Australian Koala Silver Coin is available as a less pricey koala silver coin option. The same basic reverse image of the head of a single adult koala is shown. This one is struck from 99.9% pure silver and features a diameter of 20.60 mm. 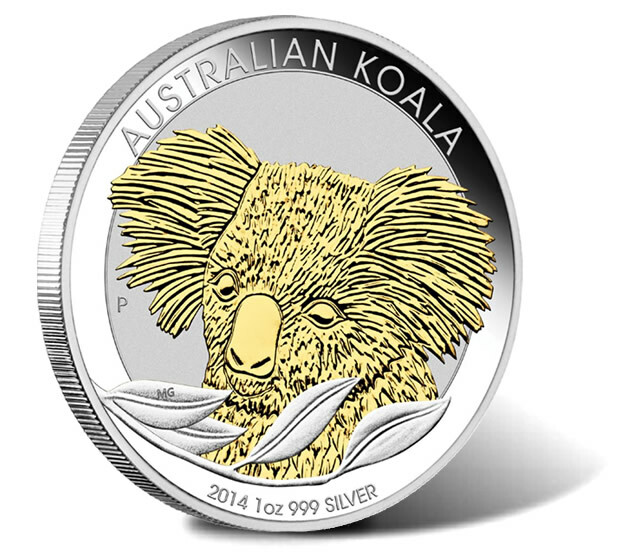 These koala coins are attached to an illustrated presentation card. The 2014 Year of the Horse 1/10 oz Gold Square Ten-Coin Collection includes ten 1/10 ounce 99.99% pure gold coins each showcasing a different colored image of a horse. 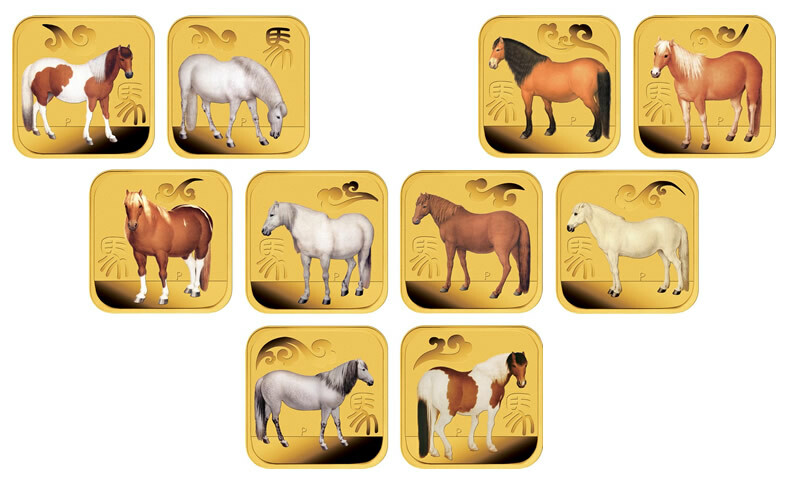 The Chinese character for horse also appears on the design. A stylish case accompanies each ten-coin set. The product limit of the collection is listed as 1,500 with a mintage of up to 7,500 for each individual coin. Similar to the gold coin set, the 2014 Year of the Horse 1 oz Silver Square Ten-Coin Collection depicts a different colored image of a horse on each coin’s reverse. Each is struck from one ounce of 99.9%pure silver. The issue limit is capped at 5,000. Up to 10,000 of the individual coins will be struck. 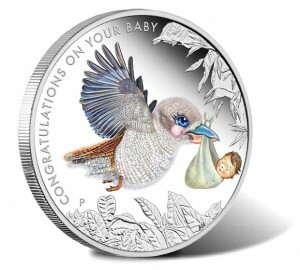 Presented in an Australian-themed gift card, the one-half ounce 2014 Newborn Baby Silver Proof Coin is minted as a gift option for newborns of the year. Found on the coin’s reverse is a colored image of a kookaburra carrying a sleeping newborn baby — an Australian take on the traditional stork folklore. Each is composed of 99.9% pure silver to proof quality. The coins are produced on a mint-to-order basis with the final mintage declared after twelve months. 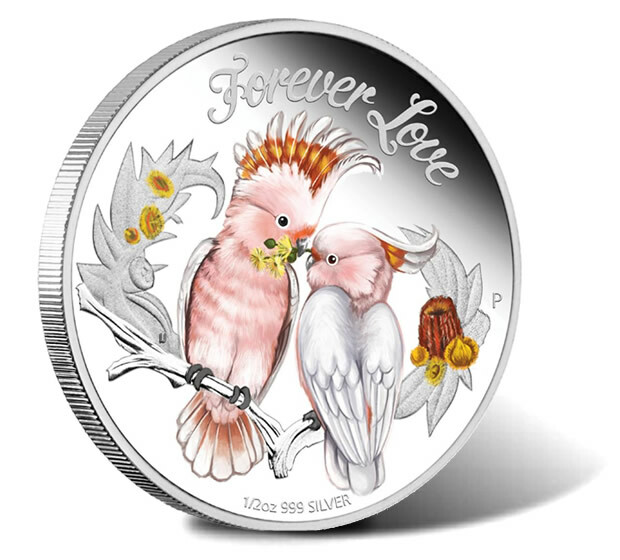 Available with a mintage of up to 7,500, the one-half ounce 2014 Forever Love Silver Proof Coin showcases the theme of love with two colored Major Mitchell Cockatoos perched on a heart-shaped branch. Each coin is struck as legal tender of the island nation of Tuvalu. A Perth Mint display case is included along with an illustrated shipper. 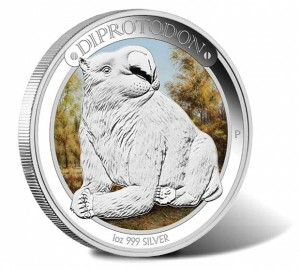 Issued as the second release in the Australian Megafauna series is the one ounce 2014 Diprotodon Silver Proof Coin. A colored image of the giant Diprotodon from the Pleistocene period is shown on the reverse. The Perth Mint strikes them in 99.9% pure silver to proof quality. A maximum mintage of 6,500 applies. 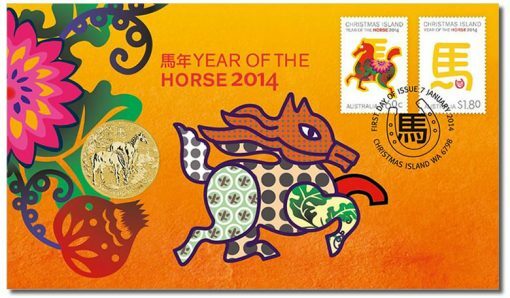 Horse lovers may want to consider the 2014 Year of the Horse Stamp and Coin Cover. 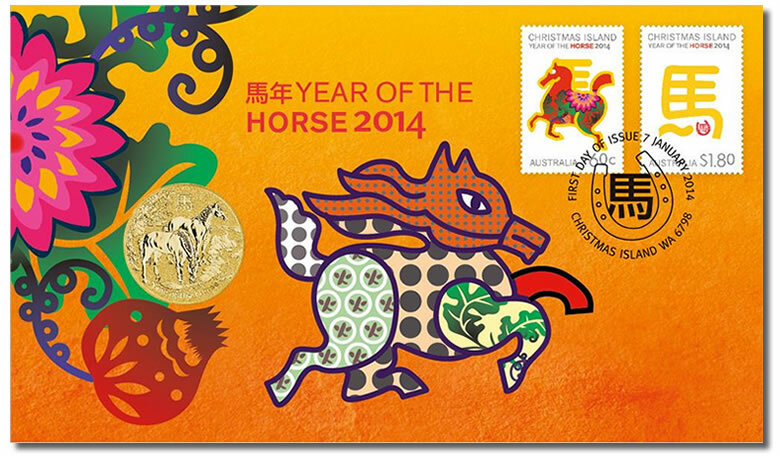 Included is one 2014 Year of the Horse Coin with two official Australia Post stamps on the outside. The stamps have been postmarked for the first day of issue with the Australian Post’s Seal of Authenticity and official number. Mintage is unlimited. 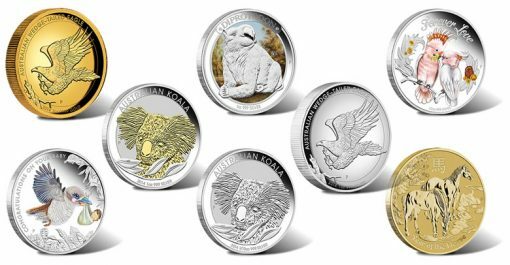 2014 Australian Wedge-Tailed Eagle Gold and Silver High Relief Coins are each struck to proof quality from either one ounce of 99.99% pure gold or 99.9% pure silver. These high relief coins feature a reverse design of a single Wedge-Tailed Eagle in flight. This common reverse was commissioned by the Perth Mint from John Mercanti, the 12th Chief Engraver of the United States Mint. Of his many works, the heraldic eagle with shield currently found on the American Silver Eagle is perhaps his best known. Maximum mintage for the gold proof coin is listed as 1,000 with up to 10,000 of the silver coin issued. Affiliate Link to Product Page – Silver Coin. Diprotodon wins the prize for ugliest animal on a coin. Ever. Now you can add 2014 Australian wedge tailed eagle $200 gold 2 ounces high relief proof coin to the list! So these coins are fast selling out now!